Enrollment is easy. You can register online with a credit card (MasterCard, Visa, Discover or American Express). No membership required. No annual member fees. Simply pick the events you want and register online! What kind of car can I bring? The Sports Car Driving Association is non marque specific group. At any given Sports Car Driving Association event, there is a broad selection of automobiles represented: BMW, Porsche, Volkswagen, Ford, Lotus, Audi, Corvette, Mini Cooper, Alfa Romeo, Mazda, Ferrari are just some of the types of cars that show up at our events. We welcome everything from Dodge Neons to Porsche Turbos. The brand of car is not important, a desire to improve one’s driving skills in a safe and fun environment is! In the event that you do not have a car that is track worthy, the SCDA would like to remind you that we offer Race Car Rentals at SCDA events. After market modifications are permitted, but not required. All automobiles participating in SCDA events are required to participate in a Tech Inspection on the day of the event. Convertibles are required to have a roll bar and/or factory hard top. Drivers of cars that exceed the specific sound limit will be given one chance to muffle the car before parking for the day. Please understand that these are track zoning requirements and are 100% out of SCDA’s control. For maximum enjoyment, make sure your care passes ahead of time. What Safety Equipment Do I Need? What should I wear? The Sports Car Driving Association’s number one priority is safety. There are certain types of clothing and safety gear that are more appropriate when driving at speed on a racetrack. Before heading to the track, make sure you have packed the right equipment. 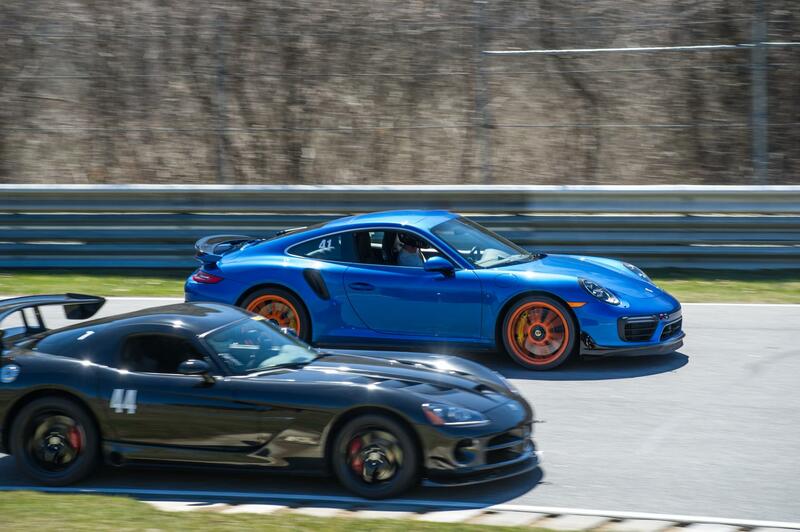 What is the format for a Sports Car Driving Association Track Day? What is your convertible policy? Retractable Factory hard tops are acceptable at most SCDA events. Tell me more about the instructors. All Novice drivers and any other more advanced driver will have access to a skilled instructor throughout the day. The Sports Car Driving Association prides itself on having the finest instructors anywhere. Our Instructors have countless years of high performance driving experience. Many of our Instructors have a competition background and are overseen by SCDA President and multi time Club and Professional series champion, Elivan Goulart. All of our Sports Car Driving Association Instructors have a very solid resume of non-competitive and/or competitive track experience to offer clients. Our Instructors take their duties very seriously and are committed to the safety and improvement of their students. In addition to on-track training, classroom sessions are required for all drivers in every group. The classroom sessions are tailored to each run group and will include a very detailed presentation covering such topics as vehicle dynamics, threshold braking, and line theory as some examples. It should be noted that if you bring a guest to an SCDA event, they are welcome to sit in on the Classroom Sessions as well. To learn more about the topics covered in the classroom session, check here. Safety is our first priority. Sports Car Driving Association events are for educational purposes. This is NOT A RACE and NOT A RACING SCHOOL, nor are SCDA events competitive in nature. Wheel to wheel racing is not permitted and laps are not timed. For the sake of safety and improvement, Novice students are required to drive with an Instructor in the passenger seat at all times. Under certain circumstances and at the discretion of SCDA Staff, it would be possible for a passenger over 18 to ride with an instructor. TO TAKE A RIDE AROUND THE TRACK WITH AN SCDA INSTRUCTOR. THE PASSENGER MUST COME TO REGISTRATION AND SIGN A WAIVER BEFORE GETTING ON THE TRACK. Not all cars are going the same speed on the track. Passing is allowed on designated straights only, with a Point-By signal. The Point-By is an important part of on track driving with the SCDA. The slower driver must indicate on which side they would like the faster driver to pass by pointing in that direction with arm out the window. Drivers being overtaken should stay on the regular driving line and not move out of the way for faster drivers. Passing drivers MUST NOT pass a slower car without a Point-By. When pointing several cars by, the slower car must give one point for each car that he or she is letting pass. If the driver intends to point two cars by, they should indicate so with two distinct points. Any car(s) behind that did not specifically get a point should not pass. Vehicle’s turn signals MAY NOT be used for Point-By’s. Not getting a Point-By? In the event you are caught behind a group of slower cars and want to get some clear track? Come in to the Pit Lane and let our staff find you a stretch of clear track for you. The SCDA adheres to a two spin policy – any person that spins twice during an event, regardless of run group, will be done driving for the day. The SCDA reserves the right to black flag any driver that is not able to adhere to club rules, or that drives in an unsafe manner. Several insurers offer HPDE Track Insurance to protect your car to protect your baby. On Track Insurance and Lockton HPDE Insurance offer insurance for SCDA on track driving events. SCDA Staff are always available to address any safety concerns and help make the event a safe and rewarding memory to last a lifetime. 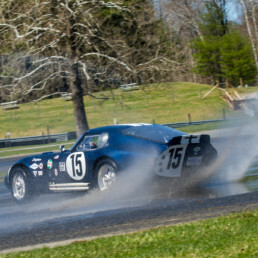 SCDA Events are run at the finest racetracks in the East. 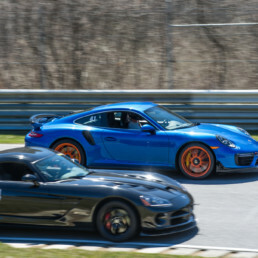 A blend of legendary tracks like Watkins Glen and Lime Rock as well as the newcomers such as Palmer Motorsports Park and New Jersey Motorsports Park offer drivers with beautiful circuits and top notch amenities. Please see our Schedule for complete details on upcoming SCDA events. Who is eligible to attend and do I need to be a member? Drivers must be at least 18 years of age, and posses a valid drivers license in order to attend. Drivers 16-17 years or age may participate with a parental waiver and a valid drivers license, except for Watkins Glen International which is 18 or over. Please note that “SNELL SA2010” or newer helmets are required for all participants. SCDA events are offered on a first come first served basis and there is no membership fee. How do I prepare my car for an event? Before attending an SCDA event, it is each student’s responsibility to ensure that his or her vehicle is up to the added challenges of track driving. Here is a list of critical steps required before heading out on track for any SCDA event. Loose items should be removed from the automobile, take time to clean out the trunk, and empty the car completely. In the event of a rain event, treaded tires are required. Cars must be in safe running order and not leaking any fluids. The car must be muffled such that it will not exceed the racetracks noise limits. Numbers from other groups or clubs should removed or crossed out with tape. Furthermore, cars with body rot or rust will NOT be permitted to participate. Here are some suggestions for preparing your car for a track event. Change the brake fluid on the car frequently. Every 6 months or several track days is appropriate. Old brake fluid will appear brown or even black in color. This is not acceptable. Brake fluid should be fresh and golden in color. If at all in question, have your mechanic bleed your brakes, and have him check the thickness of your brake pads as well. Fluids should all be checked prior to an event. Specifically, make sure that your oil is fresh and there are no leaks. Both passenger and driver side seat belts should be fully functional and the same restraint system must be used for both driver and passenger. Tires should be inspected closely, and air pressure should be set to the appropriate amount before the car goes on the track. The SCDA reserves the right to inspect any car for any reason at any point during an event. Having your mechanic check over your automobile before the event is strongly encouraged. It should be noted that each participant will be provided with a Tech Inspection form on the day of the event. The Tech Inspection will be an on site process, we do not require that you tech your car prior to the event. What if I crash my car at track day? Before attending an SCDA event, it is each student’s responsibility to ensure that his or her vehicle is up to the added challenges of track driving, but sometimes the unexpected can happen and damage may happen to a driver’s car. There are several considerations any driver should understand before driving their car at speed on a racetrack. Is this your street car? Using your street car to participate in any high-performance driving event is the ideal way to experience the performance of your baby without taking dangerous risks on public roads. Never drive excessively fast on public roads! In the event that you have an incident on track that leaves you stranded or damages your car, here are some suggestions. Join the auto club or some or other service that will begin the process of recovering the car and may offer other assistance such as trip cancellation. Check your insurance policy prior to the event to find out if your policy covers driver’s education, which is what an SCDA event is considered. SCDA Events are non-competitive and untimed driver’s education. Is this your racecar? If you have a racecar, you probably didn’t drive it to the racetrack, so our suggestion is simple. 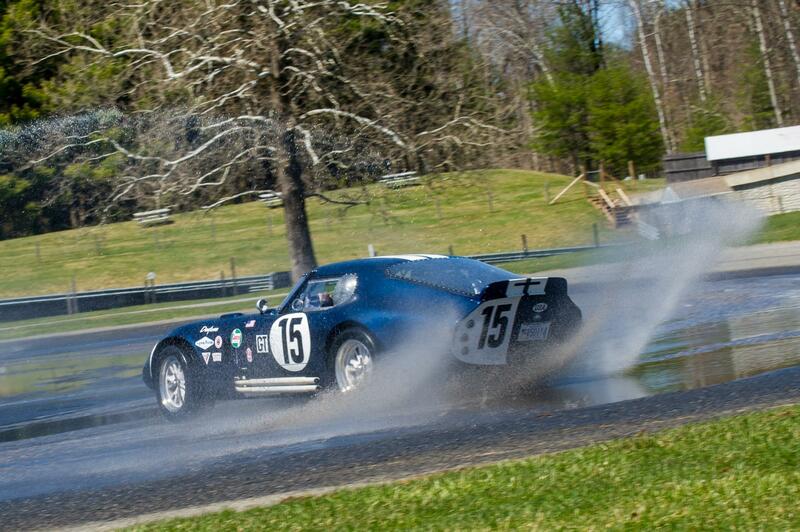 Insure your racecar with SCDA partner Lockton Motorsports and make sure your machine is covered for any situation. All SCDA events are offered on a first come, first served basis. Our events run rain or shine. There will be a $25 processing fee for any entry that is refunded, if transferred to another event more than 3 weeks in advance, no penalty will apply. Cancellations between two to three weeks prior to event date forfeit 50% of total amount, remaining 50% will be stored as credit for 12 months valid towards another event. No shows on the day of the event, as well as cancellations within two weeks of the event date forfeit the total amount. No refunds, transfers, or credits will be issued.